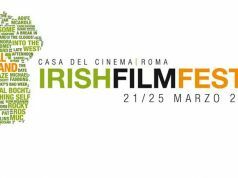 The 11th edition of IRISH FILM FESTA takes place once more at Rome's Casa del Cinema from 21-25 March. 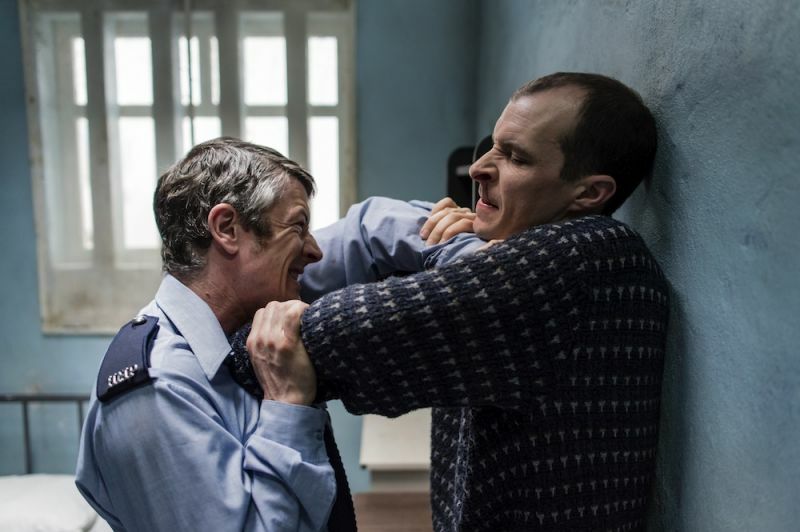 "While the Irish cinema continues to develop and surprise, our festival welcomes a growing number of films and filmmakers who also come from Northern Ireland. After all, IRISH FILM FESTA has always looked at Ireland as an artistically-united island, we have been an All Ireland event since the first edition", says the festival's artistic director Susanna Pellis. As always IRISH FILM FESTA dedicates ample space to short films: this year's competition section includes 16 works, as well as Making Shorts, an in-depth panel on the short film industry in the Irish and Northern Irish film industry, with the participation of directors, distributors and industry professionals. The out-of-competition animated short film An Béal Bocht (The Poor Mouth) by Tom Collins, based on the eponymous story by Flann O'Brien, will also be presented. 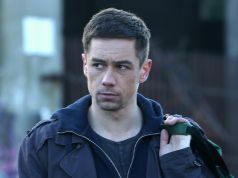 The feature films scheduled for the festival's 11th edition include Song of Granite by Pat Collins: a highly original reinterpretation of the biopic genre centred on Irish singer Joe Heaney (1919-1984), and defined by Variety as "solemn, moving and surprisingly radical." Also to look forward to is Stephen Burke's Maze, inspired by the real life story behind the escape of 38 republican prisoners from Long Kesh prison in 1983. 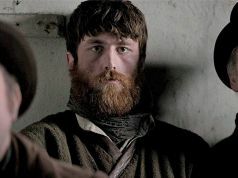 Burke and the film's producer Jane Doolan will be guests of the festival along with the film's protagonist Barry Ward. 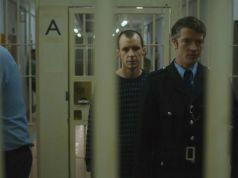 Maze has achieved significant public success in Ireland and is currently the Irish film to have grossed most in its first weekend at the cinema. 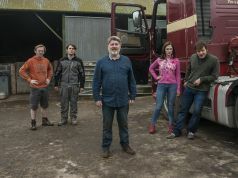 No Party for Billy Burns, written and directed by newcomer Padraig Conaty, is a contemporary western set in the town of Cavan, on the border with Northern Ireland. 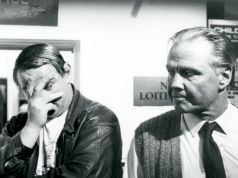 Conaty will also be present at the festival with You're not at Man at All, one of the short films in competition. The festival will host the Italian premiere of Kissing Candice, the debut film by the music video director Aoife McArdle. The story follows 17-year-old Candice who finds solace in her imagination before becoming entangled with a dangerous local gang. 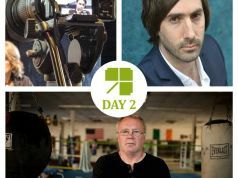 The documentary Rocky Ros Muc by Michael Fanning tells the life and the sporting career of Sean Mannion, an Irish boxer who emigrated from Connemara to Boston in the 1970s. 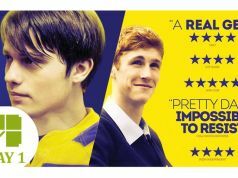 Handsome Devil is the new film written and directed by John Butler, whose film The Stag was presented at the IRISH FILM FESTA in 2014; Handsome Devil is a delicate coming-of-age story set in university, between study, rugby and personal awakening. IRISH FILM FESTA reinforces its links with Cartoon Saloon, the Kilkenny-based animation studio which is gaining increasing international renown: after The Secret of Kells and Song of the Sea, this year's festival will screen The Breadwinner by Nora Twomey. Well received on the film festival circuit and nominated for a 2018 Oscar, The Breadwinner is based on the novel of the same name by Canadian writer Deborah Ellis and features Parvana, an Afghan girl who lives under the Taliban regime. Twomey's film, whose production also involved Angelina Jolie, is an ode to the power of stories and imagination, brought to the screen thanks to thorough research into the visual and folklore culture of Afghanistan. 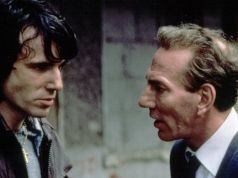 As part of the new #IFFbooks section, dedicated to Irish literature, IRISH FILM FESTA will present My Astonishing Self: Gabriel Byrne on George Bernard Shaw, a documentary made by Gerry Hoban for RTÉ (Irish public television) and BBC in which the celebrated actor Gabriel Byrne guides viewers through Shaw's life and works. 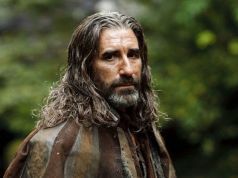 Gabriel Byrne is also linked to this year's Irish Classic, Into the West. 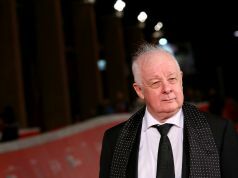 Written by Jim Sheridan and directed by Mike Newell, the film is a modern-day fairytale set in the world of the Travellers, the Irish nomadic ethnic group. 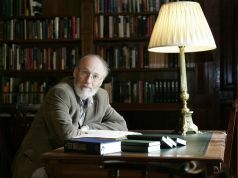 #IFFbooks will include an encounter with the award-winning Irish writer Paul Lynch. 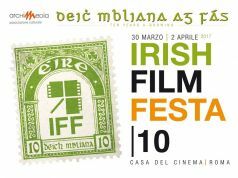 IRISH FILM FESTA is produced by the cultural association Archimedia and produced in collaboration with the Irish Film Institute; with the support of Culture Ireland, Irish Film Board, Tourism Ireland; and with the patronage of the Irish embassy in Italy and the Biblioteche di Roma. Films screened in their original language versions, with Italian subtitles. 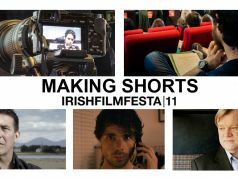 For full details see IRISH FILM FESTA website.